All mushers (beginning or experienced) and all skijorers are invited to Montana Mountain Mushers Fun Run on January 6 and 7 at the Seeley Lake West Side Bypass, Boy Scout Road, north of Seeley Lake, Montana. Park in the mushers parking lot and be ready to run. Participants will run their dog(s) Saturday between 9:00 to noon and again on Sunday between 9:00 to noon. There will be lots of hands-on training for everyone. Whether you are a recreational musher, want to start skijoring or would like to race, this Fun Run is a must for you and it is FREE. All skill levels are invited. Registration is required. Participants are encouraged to bring their sleds, skis and dogs to run each day. 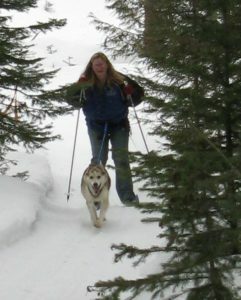 Everyone is welcome and it will be a fun, relaxed and great way to run your dogs with experienced dog mushers.